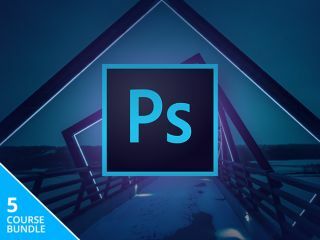 Start making the most of Photoshop, Adobe’s powerful photo editor, with 31 hours of top-notch instruction! Adobe Photoshop is the standard for photo editing and more. To be the best artist you can, you need to know how to make the most of it. You can use it the way the experts do with the Adobe Photoshop and Editing Mastery Bundle, on sale now for 86% off the retail price! Photoshop can be an intimidating program when you first start using it. This bundle will quickly teach you the ways of the program, so that you can master every element of it. It contains five courses packed with 31 hours of instruction on everything from utilising vectors to colorising photos, and much more. A lifetime membership to the Adobe Photoshop and Editing Mastery Bundle usually retails for $306. Right now, you can save a massive 86% off the retail cost! That means you pay just $41 (approx. £32) for in-depth courses on the programs and techniques you need to know. Grab this deal today!